IMARC’s latest study “Whey Protein (Powder and Concentrate) Market - Global Industry Trends, Share, Size, Growth, Opportunity and Forecast 2018-2023” provides a techno-commercial roadmap for setting up a whey protein (powder and concentrate) manufacturing plant. According to the report, the global whey protein (powder and concentrate) market grew at a CAGR of around 4% during 2010-2017 reaching a volume of 4.1 Million Metric Tons in 2017. Growing health consciousness, changing dietary habits, rising demand from the developing markets, increasing trend of physical fitness and consumption of protein-based health drinks currently represent some of the key factors driving the demand of this product. This report provides historical volume, value and price trends of whey protein powder and concentrate during 2010-2017 and forecasts till 2023. On a regional level, the report has analyzed the whey protein market in the following regions – Europe, North America, Latin America, Oceania, Asia and others. According to the report, Europe is currently the biggest producer of whey protein powder and concentrate followed by North America.  For each of the regions, this report provides both historical (2010-2017) and future (2018-2023) trends in the whey protein powder and concentrate market. Other important market engineering aspects such as the competitive landscape, margin analysis, import and export, porters five forces analysis, value chain analysis, etc. have also been thoroughly evaluated in this report. The report also provides a detailed technical insight on setting up and operating a whey protein powder and concentrate manufacturing plant. This includes the manufacturing process, machinery requirements, land requirements, labour requirements, packaging requirements, transportation requirements, power requirements, incomes, expenditures, profit margins, NPV, IRR, etc. In order to provide a clearer picture, the report has also presented this information in the form of a dynamic excel model where users can analyse the entire information and also change various inputs according to their requirements. The study, which has been done by one of the world’s leading research and advisory firms, covers all the requisite aspects of the whey protein powder and concentrate industry. This ranges from macro overview of the market to micro details of the industry performance, manufacturing requirements, project cost, project funding, project economics, expected returns on investment, profit margins, etc. This report is a must-read for entrepreneurs, investors, researchers, consultants, business strategists, and all those who are planning to foray into the whey protein powder and concentrate industry in any manner. How has the whey protein market performed so far and how will it perform in the coming years? What are the key regional markets in the global whey protein industry? What are the price trends of whey protein? What are the various stages in the value chain of the whey protein industry? What are the key driving factors and challenges in the whey protein industry? What is the structure of the whey protein industry and who are the key players? What is the degree of competition in the whey protein industry? What are the profit margins in the whey protein industry? What are the key requirements for setting up whey protein manufacturing plant? How is whey protein manufactured? What are the various unit operations involved in whey protein plant? What is the total size of land required for setting up whey protein plant? What are the machinery requirements for setting up whey protein plant? What are the raw material requirements for setting up whey protein plant? What are the packaging requirements for whey protein? What are the transportation requirements for whey protein? What are the utility requirements for setting up whey protein plant? What are the manpower requirements for setting up whey protein plant? What are the infrastructure costs for setting up whey protein plant? What are the capital costs for setting up whey protein plant? What are the operating costs for setting up whey protein plant? What will be the income and expenditures for whey protein plant?